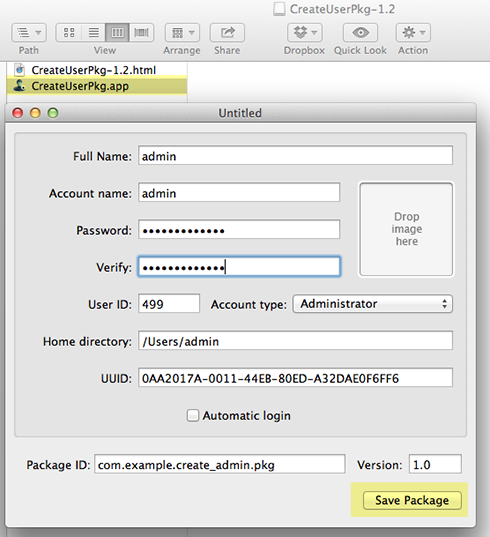 Part 2 – InstaDMG Tutorial on the basics of creating an image with OSX Mountain Lion 10.8. 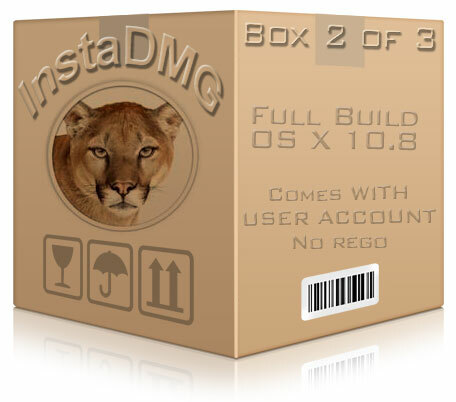 Please refer to Part 1 to get familiar with the basics of creating a simple ‘out of the box’ InstaDMG image of OSX 10.8. Moving on from the initial image created with InstaDMG which will boot the Mac to a typical new vanilla installation of Mountain Lion, InstaDMGs real power is discovered in package and application installation and various scripts which can be bundled with the image, this tutorial extends from the base image to include a default user and also a small package which enables the image to boot up to bypass the default Apple Registration process so you are just booted straight to the login screen for the already created user. This is a great advancement compared to how it had to be done previously. With the packages ready and in place now we have to add these packages to a catalog file that will be used to build the image – these packages need to have checksums to verify their validity. In this instance we are using the generic OSX 10.8 which is the “10.8_vanilla.catalog”. You can just add the 2 items in the 10.8_vanilla.catalog and just use the one catalog in the process. But by doing this when InstaDMG catalogs are updated you will lose your changes. The second line calls for the “10.8_vanilla.catalog” to also be run for the image. The build process is output verbosely on the screen -in time an up to date image is spat out in the directory – “~/InstaDMG/OutputFiles/” named “10.8 Vanilla.dmg” which is the all encompassing new master image with the new user and clear registration files applied. Image a machine with the newly created disk image and test the login process with the new user.